Diagnose, research and repair, all-in one. 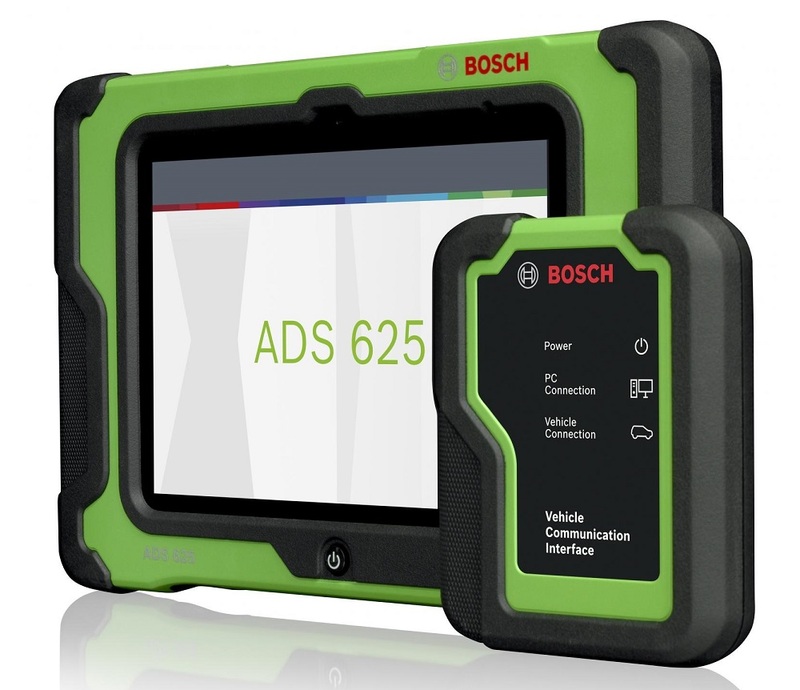 Everything you need to diagnose, research, and repair vehicle issues at your fingertips with Bosch's new Automotive Diagnostic Solutions, the ADS 325 and ADS 625. Engineered and assembled in the USA by Bosch, the new Bosch ADS 325 and 625 are automotive scan tools designed for technicians, by technicians. Knowing what technicians need to get the job done promises a scan tool that will provide you with the powerful software to diagnose the simple to most complex vehicle issues for the cars and trucks in your shop every day. Armed with repair information at your fingertips, within the software, and online, there's no limit to the problems you'll solve and the time you'll save. And with an easy-to-use interface, you won't waste time trying to navigate to find what you need. Vehicles are changing. Diagnostics will become increasingly complex. At the forefront of vehicle technology, have confidence that with the Bosch ADS 325 or 625 you will be able to diagnose the vehicles that come into your shop today, and tomorrow. With unmatched service, support, information and people to help you along the way. Both platforms include Domestic / Asian and European coverage with one subscription. Go even further and expand your diagnostic capabilities with the ADS 625 with industry leading full-system wiring diagrams and J2534 programming. ADS tools now come with Bosch Repair-Source, a comprehensive vehicle service and repair information library. Connect the diagnosis with vital technical information needed for repair - for the specific vehicle make, model and year you are working on. Repair information included with standard subscription - no more need to pay money to another service for the info you need. Access to vehicle service and repair information including DTC troubleshooting workflows, repair procedures, maintenance schedules, TSBs, OE wiring diagrams, component locations, labor times and more. Continually updated and enhanced coverage for Domestic, Asian and European brands. Recent software updates included a huge European vehicle coverage release for BMW, Volkswagen, Audi and Mercedes-Benz vehicles, with new coverage also added for GM, Ford, Chrysler and Nissan vehicles.